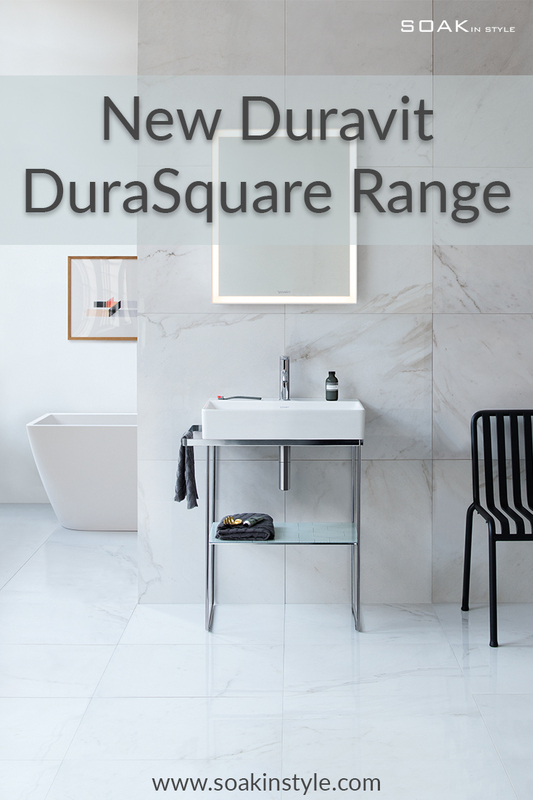 Here we have a new collection, the Duravit DuraSquare range of sanitaryware, furniture and bathtubs. A beautiful juxtaposition of clean, square lines and soft flowing effortless design meet perfectly in this series. This creates a timeless and eye-catching range of sanitaryware suitable for any bathroom. 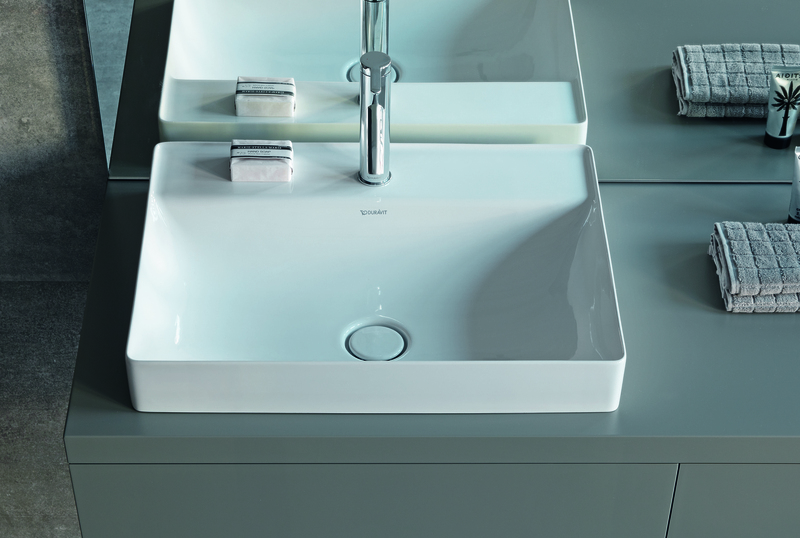 From the exterior the washbasins from the Duravit DuraSquare range are sleek and sharp. As you move inside them the lines become softer and more round. Duraceram® is the material used to create these beautifully designed basins and enable this contrasting and precise shape to happen. The rims can be designed at just 5mm thick, much thinner than regular washbasins. This feature helps to maximise the size of the washbasin and allows for ease of cleaning – perfect for busy families. We, at Soak in Style, also love how perfect this design is for smaller bathrooms and cloakrooms. The beautifully shaped washbasin paired with the console, available in either floor standing or wall-mounted options, give a light and airy feel. This is imperative when designing rooms where space is at a premium. These stunning metal consoles that partner with the washbasins perfectly are available in either a matt black or chrome finish. We love how bespoke these furniture pieces can be with adjustable heights, and an adjustable towel holder on the left or right hand side. The practical glass shelf is available in both the wall and floor mounted versions and in a number of different finishes. This adds a fun individual statement to the bathroom. As well as the consoles, the Duravit DuraSquare range washbasins are designed to partner with both the L Cube and Vero ranges of furniture. There are both counter-top and integrated solutions. Therefore, this collection offers a solution for everyone. DuraSolid® is an innovative cast mineral material that the baths within this collection are made from. This enables a seamless design for the bathtubs, matching harmoniously with the washbasins. The material is warm to the touch and ensures eye-catchingly accurate lines. Available in different variations such as free-standing, built-in, back-to-wall, or corner options and even come with the choice of an added sound module. Overall, this is a simply stunning series from Duravit. It’s already proving a popular solution for our clients and we would love to show you examples from the range. Come along to our Maidenhead based showroom to view our displays and discuss your bathroom requirements with our team.